The Matjhabeng Local Municipality and Lejweleputswa District Municipality paid their last respects to fallen world hero, Nelson Mandela, by holding a memorial service. Mayors of the two municipalities laid wreaths at Central Park in Welkom. 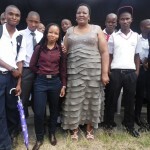 The executive mayor of Lejweleputswa District Municipality, Mathabo Leeto, said losing Madiba was a very sad moment. “We must let go and allow Madiba to rest in peace. We will take over where he has left off. I know he will have peace if he sees that we are continuing with his good work to build a non-racist South Africa,” said Leeto. 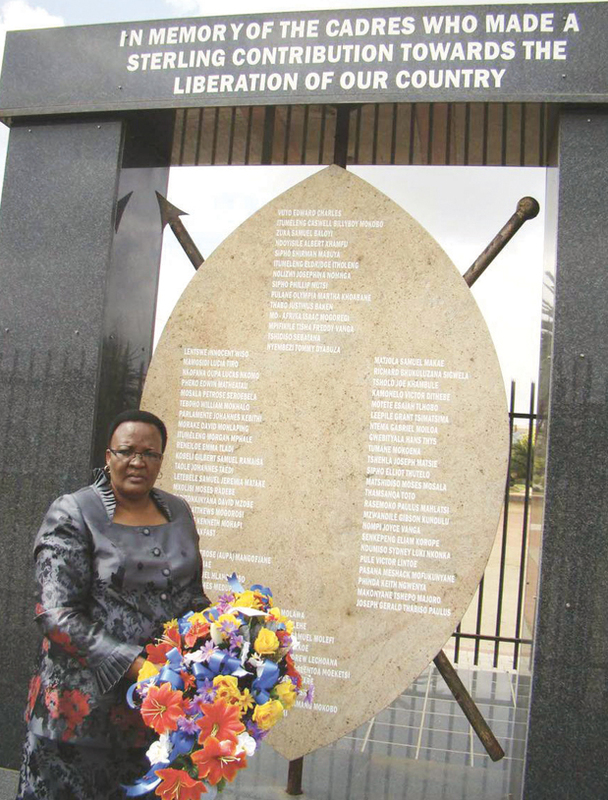 Leeto erected the memorial wall when she was the executive mayor of the Matjhabeng Local Municipality, in commemoration of the fallen heroes who made a contribution towards the liberation of the country. “We must remember that everything that we have achieved in this country is because of thousands of men and women who sacrificed their lives for us. We must keep that in mind as we continue to enjoy the freedom and democracy that Nelson Mandela and others fought for,” added Leeto. Thousands of community members joined the mayors at the wreath-laying ceremony. They brought flowers to the memorial wall to bid Mandela farewell. According to Philemon Gatyeni, a community member who also came to pay his respects, even though the world was aware that Mandela was ill, everyone idolised him so much that his death was still a surprise. “When South Africa’s democracy was still in its infancy, and we were still young, we would joke that if Madiba ever died South Africa would return to apartheid. However, here we are today, 20 years into our democracy and black and white people are mourning the death of the former president. 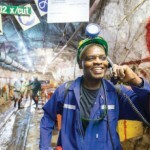 “I believe it would make him very proud to know that he has accomplished his dream of liberating South Africa and lived a while to see it come to pass,” said Gatyeni. The executive mayor of Matjhabeng Local Municipality, Sebenzile Ngangelizwe, held a small ceremony in front of the Matjhabeng municipal offices where he erected the South African flag and proceeded to lay wreaths at the memorial wall. “The flowers are in honour of a man who was very much loved by everyone in the world. We would also like to give our condolences to his family and thank them for lending him to us. He spent very little time with them, because of his devotion to the country and his vision to have a non-racist South Africa,” said Ngangelizwe.